Thank you for visiting the website of Mountain View Orthodontics! An attractive smile can improve not just how others view us, but also how we view ourselves. At Mountain View Orthodontics, we know that "We can change your smile... you can change the world." Dr. Rick Beckwith leads a dedicated team committed to creating beautiful, confident and healthy smiles. We strive every day to provide patients the best orthodontic care available and utilize the latest technological advancements in the industry, such as clear nearly invisible braces, Invisalign® and Invisalign Teen®. Glance at the June issue of '5280' magazine - you will see us named "Best Orthodontist in Longmont" every year since 2008 by our peers in the dental community! We have shared this distinction the past few years. Orthodontics is what we do ...all day every day! Existing patients have always been our number one referral source for meeting new families. We are very proud of this fact. 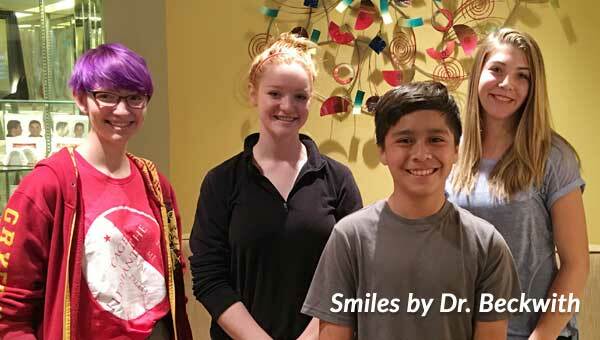 When you or your child have completed orthodontic care with us, our goal is that you, too, will be wholeheartedly recommending Dr. Beckwith and Mountain View Orthodontics to your friends and families. Put simply, our goal is to exceed your expectations of an orthodontic office! Whether you are an adult, adolescent or child, Dr. Beckwith and his team are committed to helping you achieve the smile you deserve - a healthy beautiful one! 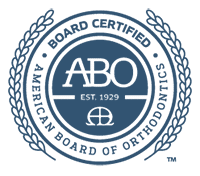 Dr. Beckwith earned the accolade as the first Board Certified orthodontist in Longmont or Berthoud, CO. Did you know that historically less than 25% of orthodontists have completed all aspects of the process for certification by the American Board of Orthodontics? It is not required and unlike in medicine, most orthodontists never complete their Board Certification. With his commitment to continuing education and rapport with patients of all ages, Dr. Beckwith continues to set the standard for quality orthodontic care. From our conveniently located offices located in Longmont and Berthoud, Colorado, we also serve the surrounding communities of Mead, Lyons, Loveland, Erie, Boulder, Johnstown, Firestone, Frederick, Platteville, Niwot, and Estes Park. Please call us with questions or submit a contact form to schedule your complimentary consultation with Dr. Beckwith at Mountain View Orthodontics today. Only 1 in 5 Orthodontists is Certified. Click to Learn More.